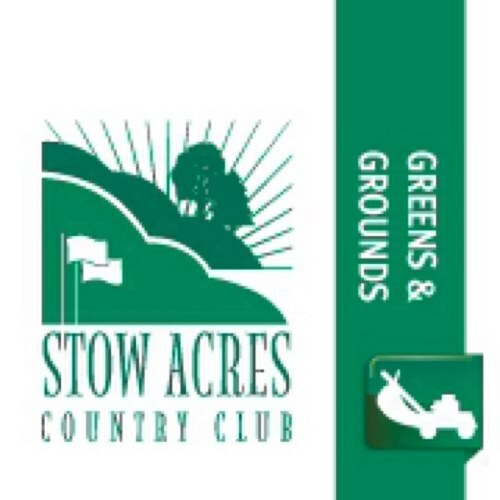 The days are starting to get shorter but the work on the course hasn’t let up for the grounds crew at Stow Acres. Tee aeration on both courses was wrapped up today with the back 9 South being verti-seeded. North tees were fertilized yesterday and once the seed coat softens on the South tees those also will be fertilized. With tees done the crew is now moving on to fairways. 5 North has been aerated with solid tines and was then slice seeded. Unlike the coring tines used on the tees we are aerating the fairways with solid tines which allow us to push a deeper aeration hole into the soil to which means that the water and nutrients we feed the fairway can travel deeper into the root system. It also makes for an easier process seeing as how there a no cores to remove like there were on the tees. Next up for aerating we will be punching the 15th fairway on the north and slice seeding it, then we will be doing selective areas on the South Course as well. Aeration is a time consuming and labor intensive process but the benefits in health and appearance for the turf are incredible.